Yes, that tappity-tap you hear is me doing the Happy Dance. My Foothill Road Aran sweater is done and drying on the rack as I type. You know what this means, don’t you? It means that I can start a new project! So what is next in my queue? The King Harald hat from Anne Feitelson’s The Art of Fair Isle Knitting, of course. 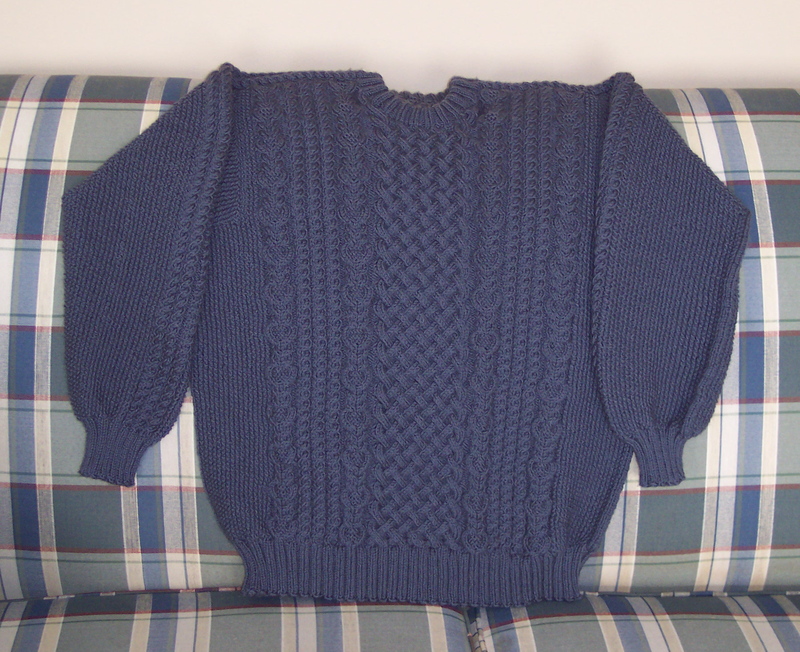 I finally have all the yarn, Jamieson and Smith’s jumper weight. I bought some of it from Schoolhouse Press and some of it from Woodland Woolworks. One of the colors is discontinued, but I was lucky to find it still available from Schoolhouse Press and, although I need only one ball for the hat, I purchased five balls, simply because I could. ☺Well, not really. I purchased five balls because there is a Fair Isle sweater I want to make, and this color is used in it. What’s that, dear reader? 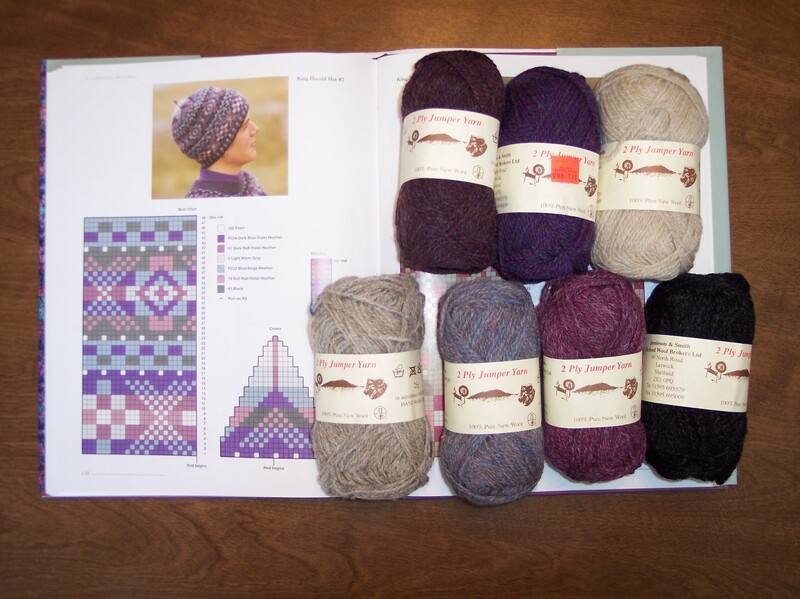 You want to see a picture of the King Harald hat and the yarn I’m using? Well, your wish is my command. There are three different colorways in the book, all of them lovely, but this is the one that really sang to me. When I cast on FRA for the KAL, I had already started correcting the mistake I made in the welt of Kinsale. I hadn’t knit enough rows. It is a pretty easy fix, and I’ll post pictures here when the fix is completed. But I don’t know whether there is any fix for the chartreuse color. LOL I might have to try overdyeing the sweater once it’s completed. 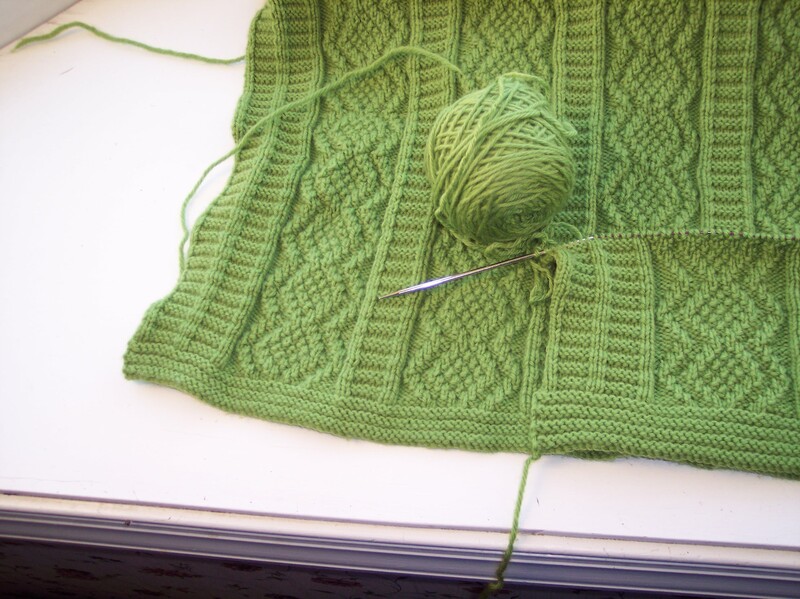 Do you think it is possible that by the time the sweater is finished I will have fallen in love with chartreuse?